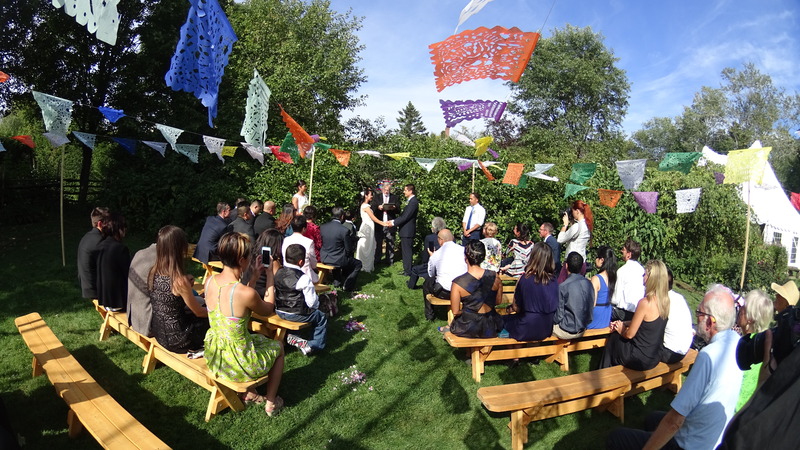 Small yet gorgeous wedding, the ceremony held here in the garden. Location: Perennial Pleasures Nursery, Hardwick Vermont. I love the colors, the chamber trio playing traditional wedding tunes on this perfect weather day!